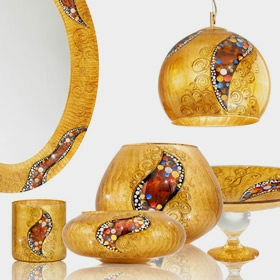 Mouth-blown Murano glass, sparkling crystals, 24 carat gold, finest brass and chrome. Fanciful details or pure and stylish clean-chic looks. We craft precious components into stunning new forms, creating breathtaking light effects. Competence, craftsmanship and creativity let your lightings dreams come true. Enjoy the magical results of inspired ideas, finest materials and traditional arts and crafts. We attach high importance to the artistic tradition of our family company. All KOLARZ products are purely handmade in our workshops near Vienna, Venice and Budapest. 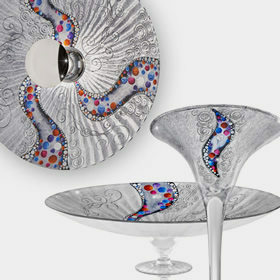 Precious materials guarantee artworks of amazing beauty and perfect durability. Sparkling crystals, mouth-blown Murano glass, 24 carat gold or silver, brass or chrome are crafted into veritable masterpieces. From classical opulence to cutting-edge styles: Trend-setting KOLARZ design enlightens spaces in perfect light. Blaze of light, making your eyes sparkle: KOLARZ lighting floods any room with pure fascination. Visit our Online Shop! Visit our Online Shop!